Two years ago, we reported on several Scandinavians who were either directing or acting in major US films, or at least involved in widely distributed US produced hits. Since then, the trend has continued; you have probably recently seen Noomi Rapace in Prometheus. Here’s an overview of the next bulk of tall, blonde Scandinavians to invade Hollywood on screen. First, the directors. The Norwegian director (with hoodie) of the smash hit Troll Hunter has been hired to direct a live action feature based on Tim Daniel och Mehdi Chaggour’s comic book Enormous. The sci-fi / fantasy comic takes place in a world where food and fuel is scarce, and humanity is threatened by gigantic beasts who destroy cities and eat children. A bit like Godzilla on acid, with multiple Godzillas. Hitman producer Adrian Askarieh is possibly taking a Cloverfield-like approach to the film, it has been reported. Plans also include a web series and a TV show. “We are looking at a franchise that stretches over many years” Øvredal says. Enormous is so new that it isn’t even on IMDb yet. After teasing Hollywood producers and agents with Troll Hunter, Øvredal read more than 100 scripts before he went with Enormous. The budget for this film will be huge, but part of the reason for Øvredal being offered the job was that she proved he could make a cheap movie look big. But we won’t leave André Øvredal just yet. He has also been attached to direct Carpe Demon: Adventures of a Demon-Hunting Soccer Mom, based on Julie Kenner’s book about a woman who used be a demon hunter for the Vatican. After getting a daughter and settling as an all-American housewife, a demon arrives in her home town and creates hell there. The film was originally to be directed by Harry Potter producer Chris Columbus, but when he saw Troll Hunter, he contacted Øvredal and asked him to take the reigns. 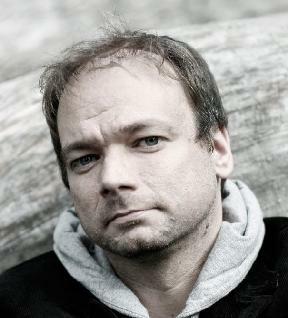 Part of Øvredal’s job was to downsize the movie from 100 to 50 million dollars (about 15 times that of Troll Hunter). The movie has not yet been greenlighted officially, but demon designs have been made. André Øvredal is also working on “something Indiana Jones-like” but refuse to reveal more at this time. Even though his movies are mostly European, we can’t overlook this Dane, who often works with big Hollywood names in front of the camera. Nymphomaniac is shooting now, a 2-part drama with an impressive cast; Charlotte Gainsbourg, Stellan Skarsgård, Shia LaBeouf, Christian Slater, Connie Nielsen, Willem Dafoe, Udo Kier, Nicole Kidman and Uma Thurman. 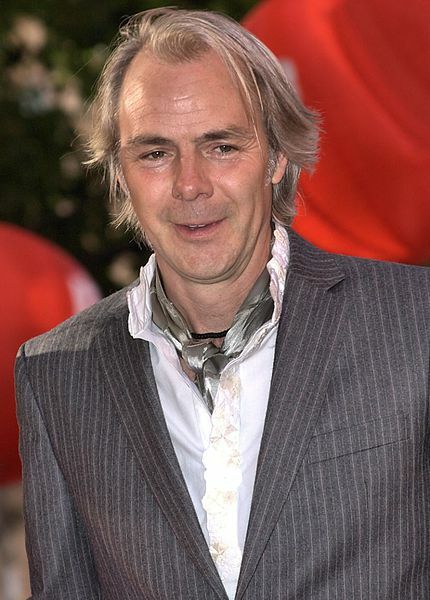 We can of course never overlook Norwegian Harald Zwart (pictured). Director of Agent Cody Banks and the Karate Kid remake is finally getting to make his long hoped-for sci-fi fantasy film. The Mortal Instruments: City of Bones is based on the first book in the bestselling Mortal Instruments series, a young adult urban fantasy series set in New York, written by Cassandra Clare. Clary Fray tumbles into the supernatural world when she visits a club called Pandemonium, and witnesses a murder. Following this tragic event Clary’s mother is kidnapped by a man called Valentine. She then calls on those who she saw at the club, and asks them to help her. In the search for the Mortal Cup, Clary makes decisions harder than any she has ever made. She falls in love, struggles with her best friend, and becomes the person her mother feared she would become. Scheduled to come out in August 2013, the film stars Lena Headey, Lily Collins, Jonathan Rhys Meyers and Kevin Durand. Zwart is also attached as executive producer and possible director of a live-action / CG feature film based on the video game RollerCoaster Tycoon, and as director of Universal Pictures’ Bakugan, a feature film based on the strategic game and anime series Bakugan Battle Brawlers. These projects are planned for 2014 or later. This Swedish director cut his teeth directing police thrillers for TV, but has become a top director in Hollywood and is right now directing The Tomb, starring none other than Arnold Schwarzenegger and Sylvester Stallone. Ray Breslin (Sly) is the world’s foremost authority on structural security. After analyzing every high security prison and learning a vast array of survival skills so he can design escape-proof prisons, his skills are put to the test. He’s framed and incarcerated in a master prison he designed himself. He needs to escape and find the person who put him behind bars. This 70 million dollar movie is planned for release in September 2013. The most famous Finnish person in Hollywood must be Renny Harlin (born Renny Lauri Mauritz Harjola), the director of such 90s action films as Cliffhanger and Die Hard 2. His next feature is still untitled, but is about the Dyatlove Pass Incident, a true life mystery of nine Russian skiers who befell an unexplained death while skiing in the Russian mountains in 1959. To this day, their deaths have been one of the most bizarre unsolved mysteries of the 20th century. Harlin is also preparing a sequel to The Long Kiss Goodnight and an adaption of the comic-book Brodie’s Law, about an expert thief and professional killer who gains the ability to steal his victims’ souls and take on their appearance, memories and feelings. This little hyped Swedish director helmed the flop Downloading Nancy but achieved greater success with episodes of The Walking Dead and Breaking Bad, and may be a director to look out for in the future. This Dane (with glasses, to the right) made an impact with Drive and Valhalla Rising, and is set to direct Only God Forgives next year. A Bangkok police lieutenant and a gangster settle their differences in a Thai-boxing match. He is also attached to helm a remake of Logan’s Run starring Ryan Gosling, about a young man at odds with his society’s mandatory death sentence for all those turning 21, who plots a daring escape on the eve of his fateful birthday. 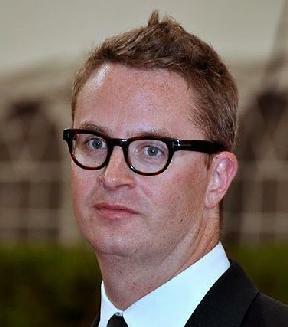 In 2010, Refn stated interest in directing a Wonder Woman movie with Christina Hendricks to play the titular character. The success of his Logan’s Run remake will decide whether he will be able to helm the remake. The Norwegian low-budget director is still sharpening his Hansel and Gretel: Witch Hunters for 2013 but is also attached to direct Afterburn as his next movie. The Gerard Butler-starring sci-fi flick is based on the comic mini-series Afterburn, written by Scott Chitwood and Paul Ens. Wirkola is attached to both rewrite and direct the movie, based on a apocalyptic sci-fi story set in the future after solar flares have left the planet as a dangerous wasteland. Butler will play a treasure hunter who recovers priceless artifacts, fighting deadly mutants, rival bounty hunters and pirates. Let’s not forget the producers; those who bring in the money, the directors and the distribution channels. Sweden’s Fredrik Malmberg has in a few years become an important producer in Hollywood with Let me in and the Conan the Barbarian remake under his belt, and coming up shortly he is offering Reasonable Doubt with Samuel L. Jackson, Fire with Fire with Bruce Willis, Frozen Ground with Nicolas Cage, and Repeater with Dolph Lundgren. Malmberg is also involved in the next Conan feature, which may star Arnold Schwarzenegger as an old barbarian! Other directors to watch: Daniel Espinosa (Sweden) is directing Denzel Washington in Safe House. From Denmark we have Ole Bornedal of Nightwatch fame, he has no future Hollywood projects lined up now but just released The Possession worldwide. Niels Arden Oplev from the same country is coming out with Dead Man Down in 2013. Susanne Bier, also from Denmark, is releasing Serena in 2013, originally to be directed by Darren Aronofsky and starring Angelina Jolie. Finally, also from Denmark, is Adam Hashemi who has been hired to direct Agent: Century 21 with Cameron Diaz and Benicio Del Toro. A real estate agent gets caught up in Mexican drug lords kidnapping plot. If you know of other directors from the Nordic region that are working in Hollywood right now, please list them in the comments field.